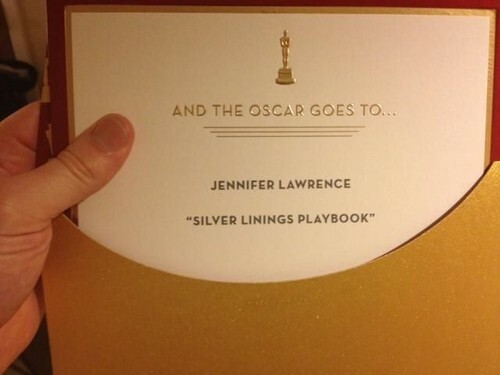 Jennifer’s Oscar winning envelope. . Wallpaper and background images in the Jennifer Lawrence club tagged: jennifer lawrence actress 2013 jennifer lawrence the hunger games oscars academy awards silver linings playbook.